I recently found this snippet over at Modern Mechanicx via Make. 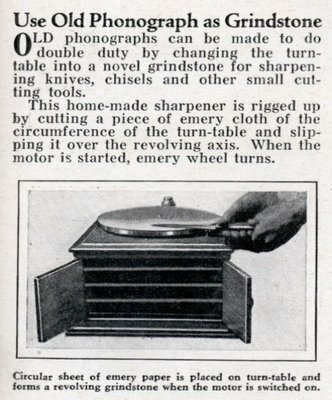 It's a brief description of how to turn a victrola into a grinder. When I first saw this I thought to myself 'who in the world would ruin a perfectly good antique by doing this to it!?' 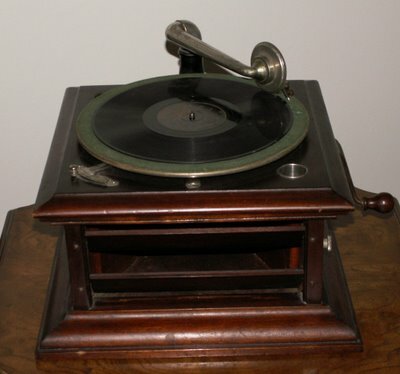 Then it dawned on me, when that was originally printed, the victrola technology was just old, not an antique. 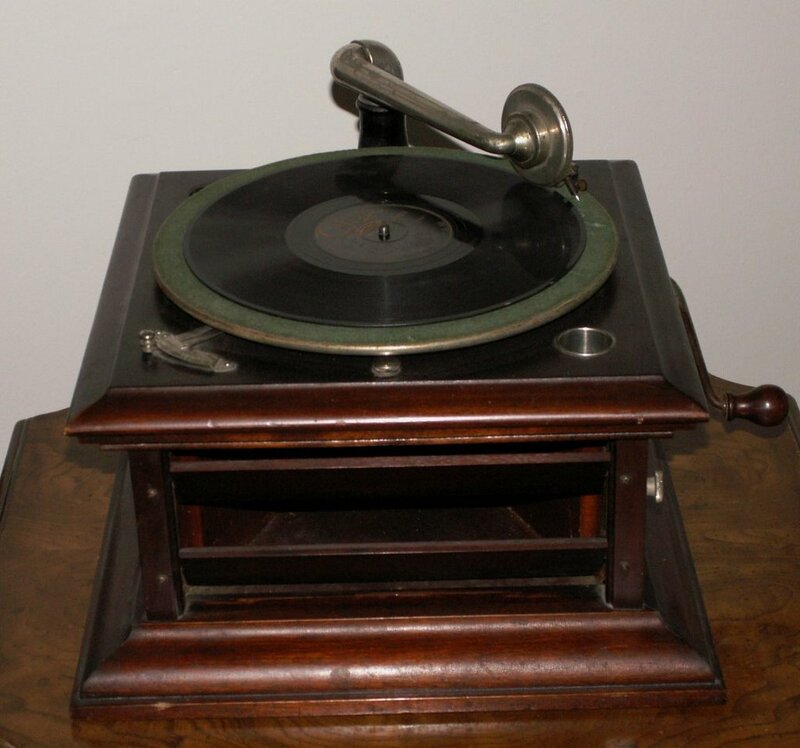 Some years later, this type of machine was replaced with electric tone arms, electric speakers, and electric motors to turn the table. Not too many years after that, 45 rpm records came on the scene, eventually followed by 33 &1/3 high fidelity systems. These made the old mechanical 78 players seem outdated and old. Putting a needle on a record started seeming quaint and charming to most people after the cassette tape and compact disc became a normal part of everyday life. In a sense, once the technology had become sufficiently outdated it went from outdated to antique. So why am I paying so much attention to a clipping about an old record player? I happen to have a similar device in my apartment. It's quite a treat for me to play old discs on the machine. This recording, which I made with an ordinary microphone, can't capture the fullness of the sound the player creates, but it does at least capture some of the simple charm of listening to an old Record. Here's the Savoy Shout as performed by the Luis Russell & His Orchestra. I certainly wouldn't dream of turning that into a grinder! Who knows what technology will be looked at fondly in a few decades? !